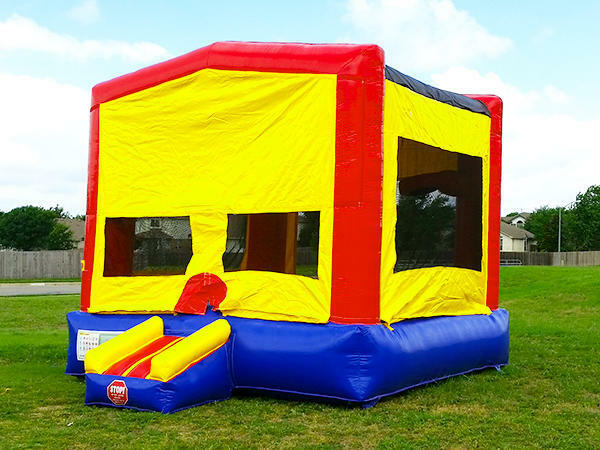 The Modular bounce house is one of our most popular moonwalks. This moonwalk is perfect for large backyard parties, company parties, school events, festivals, and more. This moonwalk also has interchangable panels can be attached above the windows on the front of the bounce house. We currently offer the follwing banners: Frozen, Spiderman, Toy Story and Star Wars.